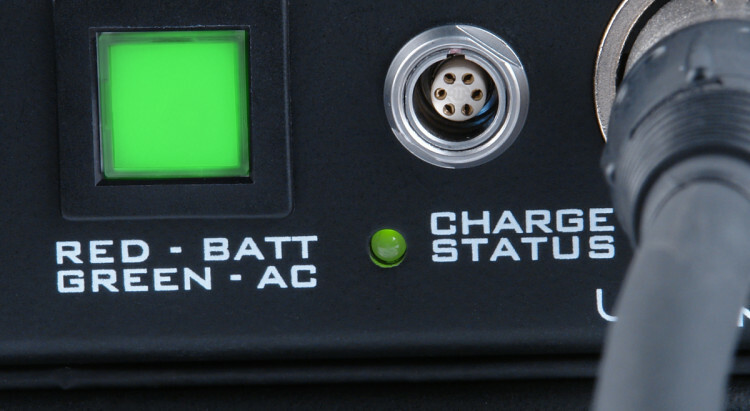 The EXTRA LiFe™ 20 (EL20) supplemental battery module contains a 20Amp-hour Lithium-Iron-Phosphate (LiFePO4) battery and is designed for use with the MEON LiFe™ cart power system. 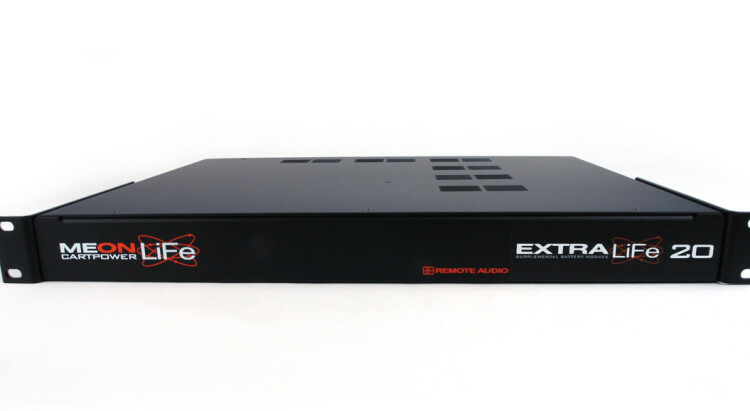 Once combined, the battery capacity of the system doubles providing twice the battery run-time of a stand-alone MEON LiFe. As locations for shooting get more uncharted and the necessary equipment for the sound department continually expands, it is nice to know that your “LiFe” equipped sound cart is loaded for power hungry bear. 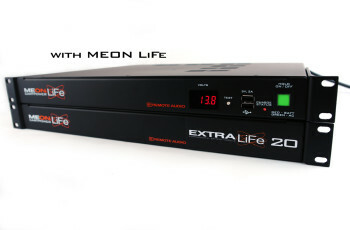 The new EXTRA LiFe 20 (EL20) employs two cool, steady, and silent Lithium-Iron-Phosphate battery packs which provide seamless backup power for your most demanding needs. 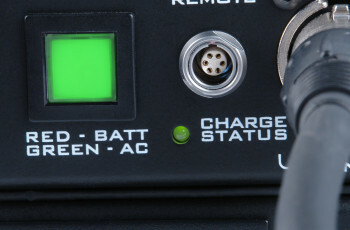 No lead acid battery can touch the EL20’s mount-it-and-forget-it convenience and ease of use. 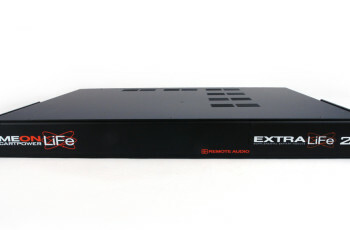 Simply connect the EL20 to your MEON LiFe with the included cable, and instantly, you’ve doubled your battery run-time. 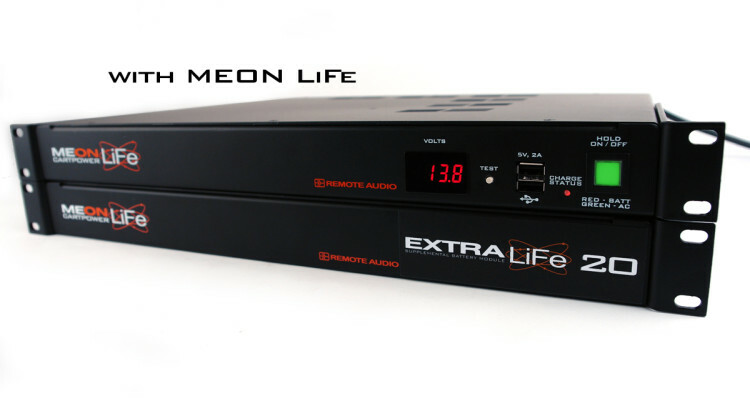 The combined MEON LiFe and EL20 system provides plenty of Amp-hours of DC power, sophisticated multi-stage fault protection and detailed diagnostic capability in a system you can rely on to power, monitor and protect your valuable and varied equipment. Included Cable: 14 AWG Powerflex cable with 4 pin XLRs. 6 inches.